Images of burning cars, crazed rioters, and perplexed politicos have filled our screens the last few days. Arab Spring has disappeared as quickly as it arrived. The reversal has stunned the world. But it shouldn’t have. Why would these Muslims want to harm Americans who supported their quest for freedom? Why would they attack a country that sends billions of dollars in aid to their countries? The answer lies in the Quran and Hadith. Muslims believe that anyone who rejects Allah as the only true god is an infidel or kaffir. Islam’s holiest books, the Quran and Hadith, make clear the punishment for those who refuse Allah. Is it any wonder why terrorists who murder Americans and Jews are celebrated as heroes? Granted the majority of Muslims do not share these beliefs. But millions do. And these are the people on your screen who are attacking the embassies, these are the people largely responsible for the approximately 160,000 Christians martyred last year. 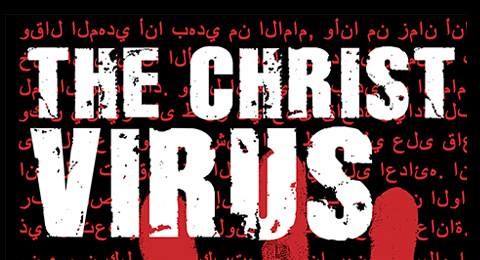 My novel, The Christ Virus, is a story set in the near future that asks the question: what if the target of radical Islam became Christians and America’s churches? In light of the recent news, it’s a question worth asking. You can learn more about The Christ Virus by visiting thechristvirus.com.